Today’s spotlight is on my favorite treat, Red Mango yogurt. Available in many Western Washington malls and also quickly spreading across the U.S., Red Mango has delicious yogurt and fresh fruit (and other) toppings that all combine for a delicious, healthy treat. And unlike some of the other yogurt-competitors out there, Red Mango is certified as being a “real” yogurt by the National Yogurt Association, which means it is cultivated with live and active cultures. This makes it a great choice for women and kids, especially, and it was a favorite treat of mine during my pregnancy. Red Mango’s yogurts hover around 100 calories (before toppings) and are very share-able with your kiddos, too. Grace loves it! Right now, you can try Red Mango’s newest flavor, cocoa, with a friend and utilize their buy one, get one free coupon (offer good through 2/17). Just visit their Facebook page, and click on the Cocoa Coupon! tab up near the top of the page. 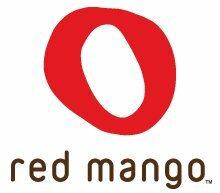 To find out if there’s a Red Mango near you, click here.